There are two Inca Trail Hikes that take you to Machu Picchu; the Classic 4 day Inca Trail or the 2 day Inca Trail. 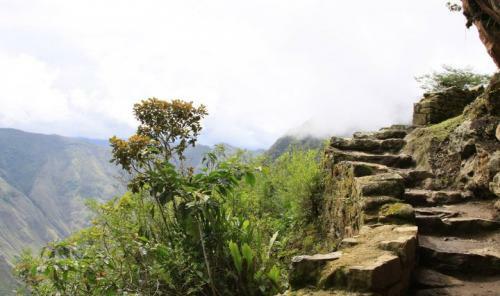 The 2 day is the short version of the 4 day Inca Trail and halfway the first day meets up with the Classic Inca Trail at the Inca site of Winay Wayna. Please keep in mind that in order to protect the Inca Trails, the governing body (INC) only allows 500 people (including guides and porters) on the Inca Trail making that the trail will sell out for most days of the year and therefore it is recommended to book well in advance. Also keep in mind that due to maintenance operations both Inca Trails as closed during the entire month of February every year. There are several alternative hikes to Machu Picchu and the number of routes is almost endless. As the Inca Trail is gaining popularity every year and does sell out for most days in the year, the alternative hikes have gained a lot of importance and there are more alternatives every year. Nevertheless, besides having less crowds, these hikes also have as advantage that they provide different experiences to hikers and let you know different country sides than the Inca Trails. Following we will list the most popular ones.